Antique Napoleon III Cut Crystal Inkwell with Fine Dore Bronze Mounts. Cut Crystal Grooves on Either Side of the Inkwell would be used to Rest a Fountain Pen. 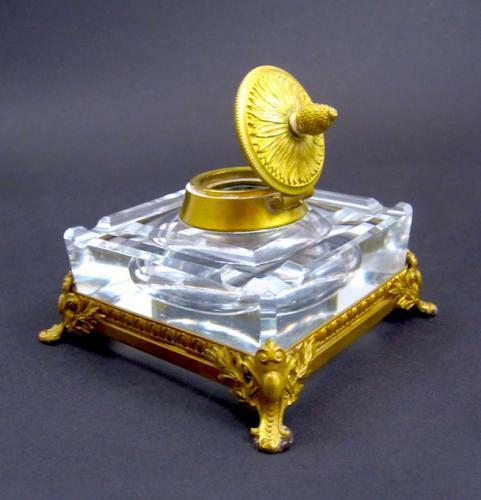 The Crystal Inkwell is Supported by Dore Bronze Feet Decorated with Classical Motifs and the Dore Bronze Lid is Finely Chiselled with a Leaf Motif and Acorn Finial.